When you compare the way people use Denver B-Cycle to the way people use top bike-share systems across the world, it’s clear that our system comes up short. People just don’t ride it that much. What’s holding B-Cycle back from being a great bike-share system? 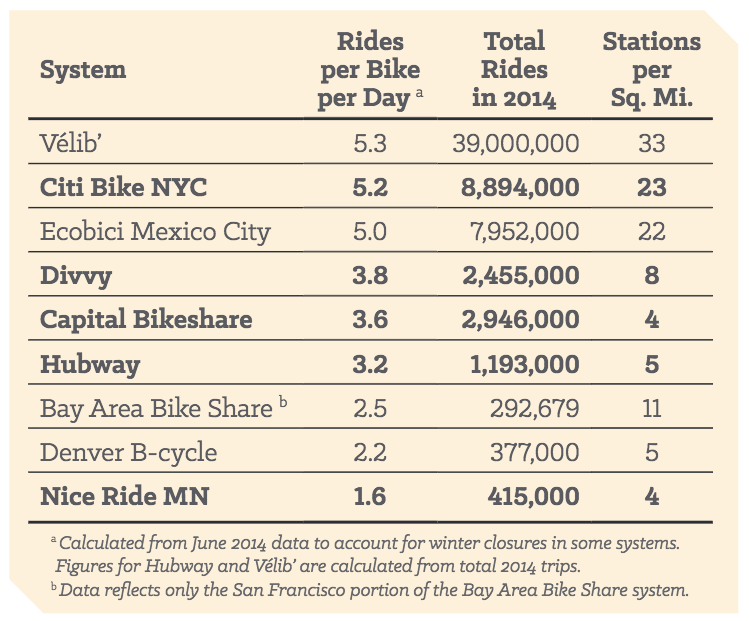 Like other transit systems, bike-share systems are measured according to how intensely people use them. A standard metric is the number of trips people make for each bike in the system per day. In 2014, for instance, Paris’s system averaged 5.3 trips per bike per day, New York’s averaged 5.2, and Mexico City’s averaged 5.0, according to the National Association of City Transportation Officials [PDF]. That year Denver B-Cycle averaged 2.2 trips per bike per day. Then in 2015, the rate fell to 1.4 [PDF]. Ouch. Nick Bohnenkamp, the executive director of the non-profit that runs B-Cycle, has said that more funding is the key to unlocking B-Cycle’s potential. So, say the funding was there. What should Denver do with it? The answers are not that complicated, but they will require a commitment from the Hancock administration to take bicycling seriously as a mode of transportation. Here are the most important things Denver can do to improve its bike-share system, according to expert guidance from NACTO. Bike-share networks only work well when stations are always a short walk away from both the start and end of your trip. Otherwise, it’s not going to be a very convenient mode of transportation. 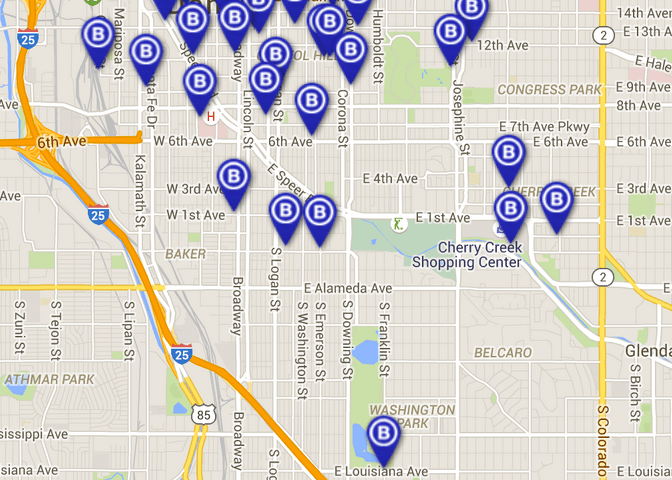 B-Cycle stations are especially few and far between in low-income neighborhoods. The City Council says it would like to see B-Cycle expanded citywide, but it’s not good enough to have one or two stations in underserved neighborhoods. The important thing is to ensure good station density in every neighborhood. Cities with good bike-share systems also have good bike networks — high-quality protected bike lanes and trails that let people move around safely and efficiently. New York, which is about twice the land area of Denver, has about 40 miles of on-street protected bike lanes. Denver has 2.8 miles of on-street protected bike lanes. Without safe, low-stress routes to get from point A to point B, a lot of people won’t feel comfortable riding B-Cycle. Completely agree that Denver’s system needs more density to be more intensively used, but Denver is not NYC, Lyon or Mexico City and is never going to achieve similar bike share usage without a complete transformation of the urban fabric.